← Beware of the wolf in sheeps’ clothing. Sometimes, pictures say so much more than words. Here is a selection of pictures and videos which, to my mind anyway illustrate why we SHOULD NOT bomb Syria ..
Do we really want to send our children to kill other peoples children? This entry was posted in Syria, Uncategorized and tagged War. Bookmark the permalink. 2 Responses to War … what is it good for? 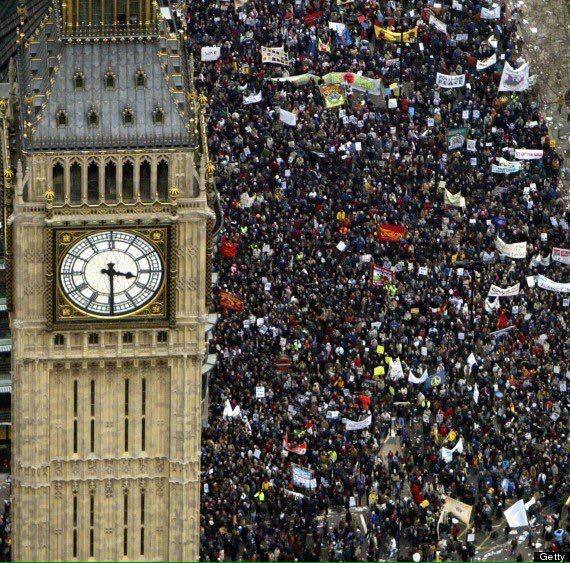 The protest picture is from 2003!